As the birthplace of downtown’s burgeoning arts community, we were founded on the belief that art has the power to transform, strengthen, and beautify our community. At Alwun House, art is a concrete medium, building a foundation for that transformation – one block at a time. Garfield Neighborhood’s culturally diverse neighborhood benefits from Alwun House collaborative projects that strengthen and unify neighborhood participation. In addition, the Alwun House facility is often used by the broader community for social gatherings and planning sessions. The trust-building “Meet and Greet” series brings together community and police: Central City Precinct Commanders and beat officers meet Garfield Organization members and residents. This annual activity breaks down perception barriers, encouraging interaction over food, games, and resident talent entertaining. These events increase attendance and enthusiasm at our monthly Garfield Community & Law Enforcement meetings, and engage the art of social dialogue connecting residents and police. Providing direct access to low-mod home ownership in Garfield; focus on families, artists and creative entrepreneurs benefiting from our “Art’s and Small Business” district overlay. In partnership with Neighborhood Housing Services of Phoenix, Roosevelt Row and City of Phoenix Neighborhood Services Department NIA team, we bring together a panel of real estate professionals, mortgage and finance experts, as well as long-time residents of the Garfield neighborhood on hand, providing information and answer questions regarding the neighborhood, housing prices, financing, funding programs, and assistance in the process of purchasing a home. Garfield Neighborhood, 7th to 16th St, Van Buren to I-10 Fwy, is the most affordable historic neighborhood in downtown Phoenix, with noticeable increase in numbers of artists-creative types living and working in homes they own. 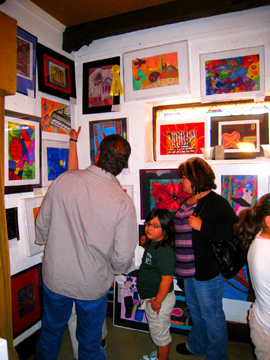 Annual youth art show in partnership with Phoenix Elementary School District #1. Exhibit founder & Art teacher John Avidesian states, “The goal is to give students the experience and excitement of a real gallery setting, surrounded by parents, teachers, neighbors and civic leaders. For many it will be a first time seeing their art on display in a gallery. For others it will be the first time they’ve seen an art exhibit.” This show of vibrant, hopeful, and promising downtown youth features 300 pieces made by students in the 5th through 8th grades. We also feature student bands, choir, Folklorico dance, and more – all representing 16 Schools and 18 teachers. Artworks sell for $20, with 100% of proceeds going directly to the student artist. ASU production features “Garfield,” an inner-city a neighborhood-building story. 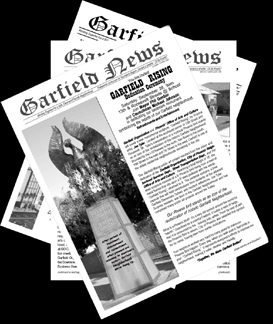 The video “Garfield,” an Arizona State University production, resulted from a collaborative partnership between its Downtown Campus and its neighbor, Historic Garfield Neighborhood, facilitated by Alwun’s Kim Moody, Garfield Organization’s ASU liaison. Featured, is one of Phoenix’s first neighborhoods from the 1800′s, site of Phoenix’s first park, municipal pump, and early trolley line. This past, present, future “snapshot,” focuses on the late 20th century, after Garfield became a victim of flight from downtown, and how its resilient neighbors built partnerships. Interviewed are members of the nascent Garfield Organization, and founder cake-maker, La Doña, Lupe Sisneros. 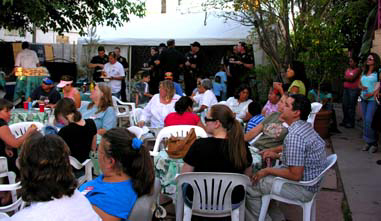 The film hints how from one neighbor to another, grew partnerships that began to include non-profit partners like Neighborhood Housing Services Phoenix, the non-profit Alwun House provides a central gathering place for neighborhood social events, engaging the power of art in revitalizing and strengthening community. Neighbors describe how the nexus of City of Phoenix NSD/NIA Department with its culture of “inclusiveness,” together with winning Arizona’s first US Department of Justice, “Weed and Seed” program, formed ongoing partnerships, including the Phoenix Police Department. 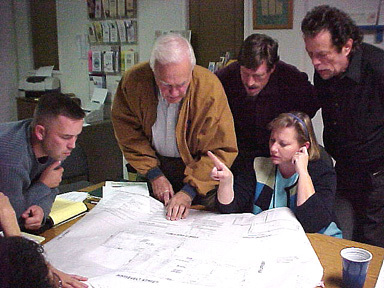 Together, they engaged neighbor-leaders in developing comprehensive revitalization strategies. 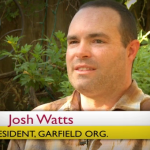 Garfield’s future as the newest strong up-and-coming historic neighborhood is promising. A side historical 1954 reference point of Garfield Neighborhood, is “Tomorrow’s Drivers” film narrated by Jimmy Stewart; see inside and out of the old Garfield Elementary School at Roosevelt and 13th Street. 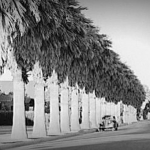 Downtown’s History comes alive with glimpses of Garfield in all its post-war glory, palm-tree lined Roosevelt Street, school decorum, and the traffic. 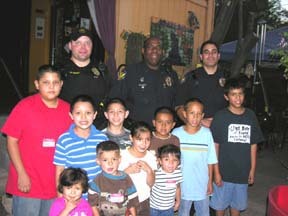 Alwun House co-developed with Garfield Organization Arizona’s premiere Department of Justice “Weed & Seed” Grant, with a comprehensive strategy to “weed out” crime and “seed in” positive elements into our community. In that capacity we helped spur several artistic projects in Garfield: one such project created Neighborhood Bulletin Boards. After a “Call For Artists,” Michael Levine was selected and 12 large sculptural bulletin boards were erected for GO meeting notices, and residents to post information communicating with each other. Most recently we received a MAG neighborhood art grant administered by the City of Phoenix Office of Arts & Culture. 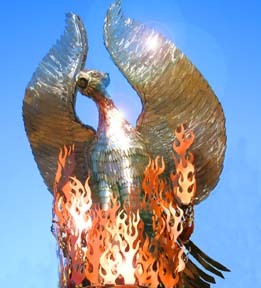 Community review panel selected the renowned metal sculptor Joe Tyler, who created “Garfield Rising” a landmark Phoenix Bird Sculpture (biggest Phoenix in town). Now, the nearby elementary school kids draw Phoenix birds; it’s become a sense of pride and identity for Garfield Neighborhood. Founding director of Alwun House non-profit (1971), actively participated in the creation of Garfield Organization, a neighborhood alliance, a nonprofit neighborhood association since 1989. He has served as president of the board several times. Arizona State University – Garfield Organization Liaison: Currently developing community-driven, strategic plan for ongoing collaborative efforts engaging University Interdisciplinary Departments and community resources. Garfield Organizations Arts and Culture Liaison: Mr. Moody was a founding commissioner on the original Phoenix Arts Commission (early ‘80’s), and continues by serving on the Mayor’s Artist Issues Task Force which is responsible for drafting Downtown Arts and Small Business Overlay. This permits artists and creative entrepreneurs to live/work and adaptive reuse structures within its boundaries, among other benefits. Alwun House Foundation Board President, serves on the Executive Board of Directors for Garfield Organization, where as Chair of GO Revitalization and Economic Development Committee since 1991, his leadership works to preserve the neighborhood contextual integrity, in collaboration with multiple City of Phoenix departments and private developers. 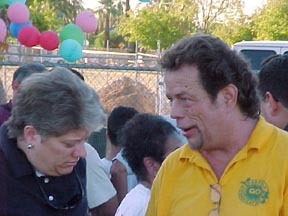 Active Board Member of Neighborhood Housing Services of Phoenix, currently serving on two committees. Central City Village Planning Committee; reviewing planning & zoning development issues in the downtown Central City Village of Phoenix. Hi, I was wondering if Alwun House contributions are tax deductible and if there is an associated tax deductible contribution number I would use for my taxes. Thank you for your response. Contributions are tax decutible. We are a registered 501(c)3 organization.